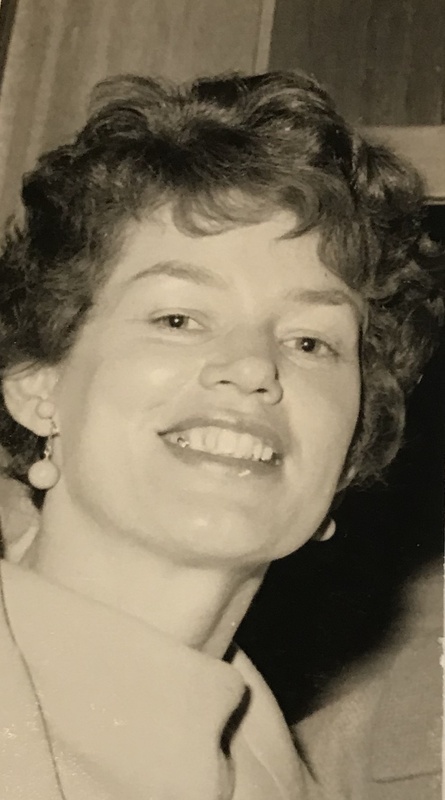 In 2008 Dorothy May Eedy summed up her life in a self-written point-formed obituary in about 200 words: a mere shadow to the full body of her vibrant life. - This 200 word obituary was written down, typed up and printed out. Then she filed it away. From her viewpoint that one sheet of paper summed it all up. Dorothy wrote 100s of thousands of words on life. She was the longest running newspaper columnist in Canada for almost 60 years straight with her weekly ‘Eat at Our House’ column. Hundreds of examples have been digitalized at the Museum Archive. - 200 words do not sum up life for Dorothy. This story begins in the post war years when a young mother of 5 volunteered to sit on numerous boards, groups and committees. She cut a wide community swath which includes the St. Marys Public School Board, St. Marys United Church, St. Marys Community Living, UCW, Inner Wheel, IODE, Perth United Church Presbytery, St. Marys Library, St. Marys Golf and Curling Club and more. Still time to teach Sunday School and host a gaggle of Rotary International Exchange Students. A stalwart cooking judge at all local fairs. And a little game of bridge each week. - 200 words off her desk-top keyboard, text that summarizes a wide life, coming of age in the west when young mother goes east. Her eastern family’s complete life went south with 17 winters in Arizona then back in St. Marys 23 years on her own as a widow. Dorothy May Eedy’s life began in Prince George BC as a direct result of WW 1, while the remainder of her adult life was a direct result of WW2. Her birth parents in 1924 were Helga and Lars Strom. Lars had stayed in Western Canada a geographical orphan. As a Swede the First World War limits travel options for neutral country citizens. In British Columbia, he established a family with his young Norwegian wife. Lars adapted well to Canada naming all children “Canadian” names including his third and second daughter Dorothy May. As Dorothy’s life paralleled the early expansion of Prince George along with its environs. In these outlying communities, as in Prince George, her father had a series of grist and saw mills which included Vanderhoof, the Forts of St. John and James among others. Fond memories also centered on the cottage time in short summers and double cousins all year long at Fraser Lake. Her mother had died when Dorothy was six so there was a certain amount of freedom and exploration in her development. Novel story in this somewhat frontier atmosphere under an entrepreneurial single Father. Mother described a small town of Prince George with no assumptions and iced with a rough edge. Prince George life had outdoor skating, a ski and sleigh hill, the Chinese laundry, novel characters, mud streets and board sidewalks, loose moose and bear or the experience of flagging down the steam train in the dead of a winter night …. At eighteen, she witnessed a nation on war mode with young graduate boys from Prince George High School heading out to the battlefront. In return, hordes of eastern boys showed up in town for training purposes. Helping on the logistic side with these troop transfers was a young Lieutenant John W Eedy from Ontario. Two older siblings had married at this time and mother foresaw opportunity of a new world open in front of her. Dorothy married John entering a third generation family at everything; home, business, church, clubs and social position. Dorothy graduated to a new life, first as a new mother. Second, she moved into a new home at her husband’s in St. Marys Ontario. Again, her adult life filled with learning, adaptation and the adventure began. Education to the ways of the East began within hours of her arrival. A pair of silk stockings appeared bedside. Western upbringing affected by a world war economy meant bare legs but NOT in Ontario. The mistress of convenience adapted, with socks on. The adventure included a succession of reunions in the West including 2 rail and 3 car tours in the next ten years. At the Eedy generational home, Dorothy raised her five children including John Wilson, Robin Strom, Linda Mae, Richard Lorne and Lars Edwin. A diverse group of siblings exhibiting strong oral and written skills, scholastic enterprise, liberal tendencies BUT all were individuals. Dorothy lost her life-long love, John W, in 1996 and her first-born, Dr. J Wilson in 2003, along with her older sister and brothers. Her half-sister Lorna (Jamie) Brown and half-brother Dr. Jon (Pamela) Strom survive along with her children and their partners, nieces, nephews, 9 grandchildren and their partners, and three great granddaughters. This understatement misses the previous positions listed in the community along with her work as a Stephen Minister and volunteer at the Baseball Hall of Fame. Dorothy by example was a political activist at all Municipal levels along with some Provincial and Federal actions. ALL this is surpassed by Dorothy as a homemaker. The life that Dorothy encouraged was simple; “you do your job and I’ll do mine.” Whether a school issue, etiquette question, calls from your neighbour, appointments in play, time for play, paper-route … Mother was in your rearview mirror. Things ran on seamless tracks under Mother. In her 50s, Mother and Dad wintered in Green Valley Arizona where she hiked, played bridge, swam, garage-saled and entertained for 17 years. The Eedys returned to St. Marys to their new home in 1985 at the “Bottom Line.” Here they lived until John’s death in 1996. Dorothy continued to enjoy an active social and community life with her lifer friends who met as a group once a month for lunch. At her retirement home, Mother sought out friends in residence. She entertained new acquaintances while watching out for hall mates. Mother lived in comfort at Kingsway Lodge for over seven years. The family would like to highlight their gratitude and thanks for Mother’s care from all the Kingsway staff. Thank you friends and family for your care in visits, cards, photos and drawings. Cremation to take place. Family and friends are invited to St. Marys United Church, 85 Church St. South, St. Marys on Saturday February 9, 2019 for visitation from 10 a.m. until the time of the Memorial Service at 11:00 a.m. with Rev. Doug Loucks officiating. Interment in St. Marys Cemetery at a later date. Memorial donations may be made to the St. Marys Museum or the St. Marys United Church Organ.